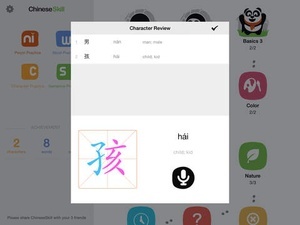 ChineseSkill is the most effective app to learn Chinese mandarin. nd it is Features 1. Gamebased learning course an easy start for beginners; 2. 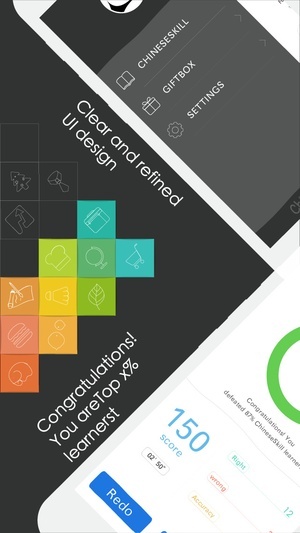 Quality courses based on the 3. Learning while testing (provides review and consolidation); 4. Native pronunciation at standard or slower speed; 5. novel way to study Chinese characters; 6. Displays Chinese as pinyin or characters or both; 7. Switches easily between simplified and traditional Chinese; 8. Learning progress synchronized across iPad, iPhone, iPod touch; 9. Keep new vocabulary and sentence patterns in your longterm memory; 10. 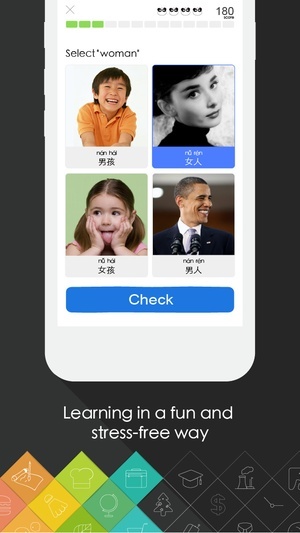 Effective and efficient for learners on the go; Why is Chinese language so difficult? Numerous Chinese characters; tones; measure words; elaborate writing system; function words; word order; grammar! Yes, Chinese does deserve its reputation for heartbreaking difficulty. But, no! Here comes ChineseSkill! 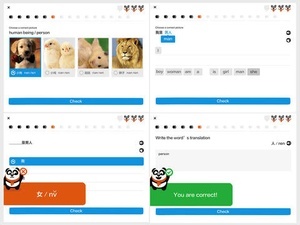 t is changing the way people learn Mandarin and makes Mandarin easy. t will help you master Mandarin to a useful level even if you do not have Mandarin basics. 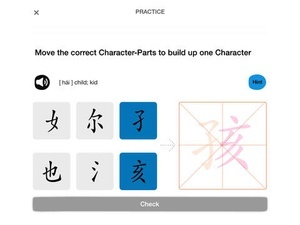 How does ChineseSkill make Chinese learning so easy? Learning is game based. 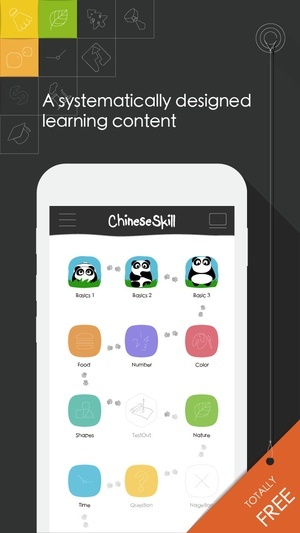 ChineseSkill uses minigames that test your listening, reading, writing and speaking skills through the entire learning process. t’s taskdriven. Content is organized into various skills which are practical and keep learning motivation active. t’s effective. Every item can be mastered in a short time. nd you are able to track your progress and review characters, words and sentences on the go. t’s helpful. You are able to record your Chinese pronunciation and compare it with standard pronunciation. t makes complicated things simple. 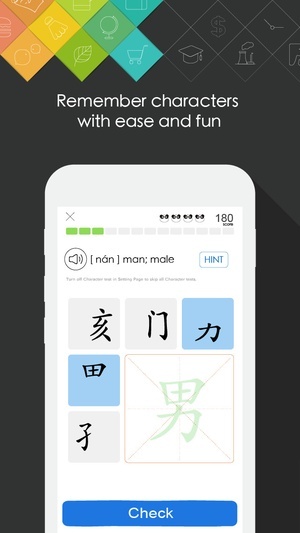 Chinese handwriting, characters and pronunciation are made simple in ChineseSkill. ll you need to do is tap and move. What are you going to learn? 50+ Chinese skills 150+ Chinese grammar points 200+ sentence patterns 1000+ key words and phrases 2000+ essential Chinese characters You will have lessons that cover Chinese Basics Greeting and ntroductions; Shopping Travel Chinese food Chinese games Past and Future Friends and Social Life Dinning and Vacation Dating and flirting …and more! ChineseSkill method works! But don’t take our word for it, here are some of our reviews really enjoy this app! 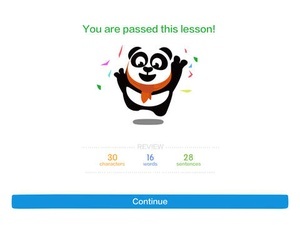 pay a lot for a Mandarin's beginners class and in three days with this app learned more. ” “ great resource for students to practice their reading, writing and listening. 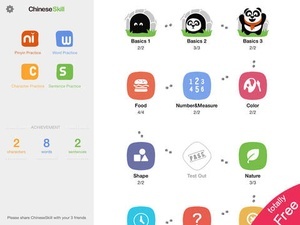 am a Mandarin Chinese teacher teaching beginning level of grade 4,5 and 6 in Connecticut, This app has great potential as teaching/reviewing tool for Chinese language learners.” use a suite of tools Nulinuli, Mindsnacks, Brainscape, Pleco, Rosetta Stone. was very excited to find ChineseSkills. t's definitely become my favorite. t makes a big effort to teach a range of elements. Characters, tones, syntax, grammar. nd most importantly it has a review feature which is crucial and often missing in language learning. 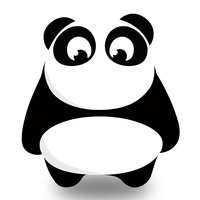 Definitely give ChineseSkills a go.” am an avid user of Duolingo. felt both intrigued and bad for trying Chinese Skills because thought was supporting an imitation. Feelings now is that this app definitely imitates duolingo's app but in return offers us a Duolingo like progression of vocabulary and grammar for Mandrin. There will be plenty of demand for such a course and at least such a resource now exists. 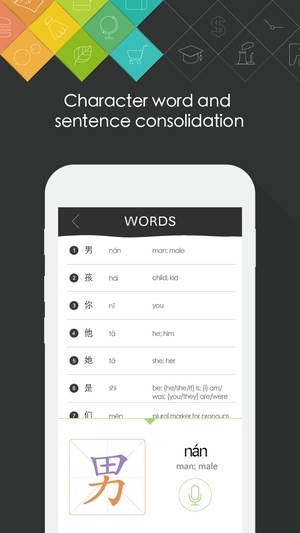 Thank you.” “This is one of the best Chinese learning apps out there!t teaches you both important vocabulary and grammar. t is a must have! Plus, other apps are expensive and still cannot compare to the quality of this app.” Believe it or not, download and start an easy journey to fluency in Chinese now! Check these links to find your download for ChineseSkill for & iOS or for your device iPod TouchiPhoneiPad. The app ChineseSkill is compatible with te following devices.